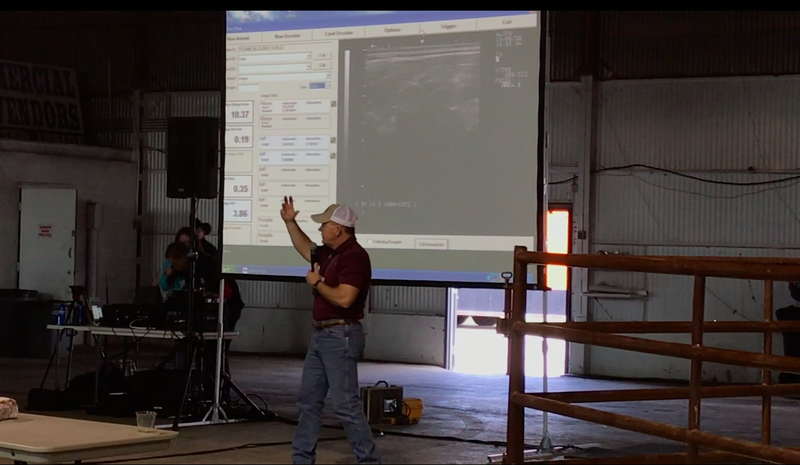 At the 2018 Grassfed Exchange, PastureMap advisor Dr. Allen Williams gave a demonstration on how producers can use cutting edge live animal ultrasound technology and software to transform their seedstock and/or stocker operations by allowing ranchers to know and improve their carcass yield and meat quality. USDA graders look at the 12th rib to determine the quality of a carcass. So we’re looking at the exact same area, but in the live animal when we can still impact our rating. These videos explain the process used during the probing and imaging stages of live animal ultrasound. This score goes from 0-1, and the higher the score, the higher the cutability and retail yield that you will have of this animal. If you want to assure optimal yield, aim for a minimum score here of .3. Highly correlated to marbling and final carcass quality grade. The minimum intramuscular fat that it takes for an animal to grade choice is 4%. Typically when selecting cattle you can make the cut off at 4.5% to ensure that they will grade choice and up. If you find you’re a bit below, this gives you the opportunity to get your animal to the higher grade and get to choice. Use a longitudinal image. The muscle fiber angle helps determine tenderness- the steeper the angle, the greater the sheer force that is required to bite the steak, the tougher it will be. The shallower the angle, the more tender it will be. The density of the connective tissue around each muscle fiber bundle. The denser the connective tissue, the tougher the meat. Animals never get more tender as they age. Presence of collagen rows are the third factor. This can be very genetic or breed specific. As a whole British breeds tend to be more tender than the continental breeds. The range for tenderness is from 1-5. We’re looking for a 3 or less to ensure a tender experience. If anything stresses cattle they are going to pull out intramuscular fat first, and they’re going to pull it out first from the top of the muscle, to the inside of the muscle. You can see a void area in the top layer of fat and know that it faced some form of stress like sickness or injury. The stress score goes from 1-5, with 1 being no stress. The stress directly affects the intramuscular fat which links back to your USDA Grade. As he explains, live animal ultrasound is not a stand alone solution by which to base all of your culling or breeding decisions. However, it is an impressive way to add critical information to your decision making, and to shed light on things like animal stress that previously may have been unknown. In most states, you can have live animal ultrasound done at your operation for about $15/head of cattle. Looking to improve your animal performance? 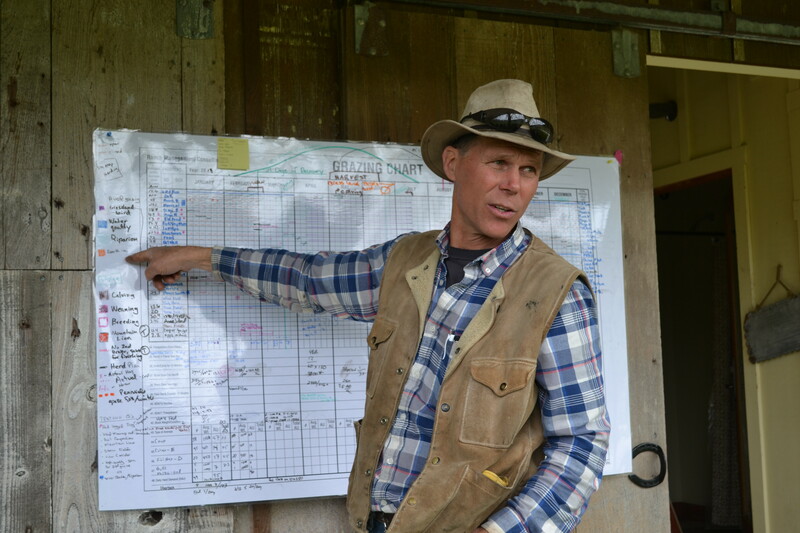 Sign up for PastureMap and tie grazing practices to productivity.